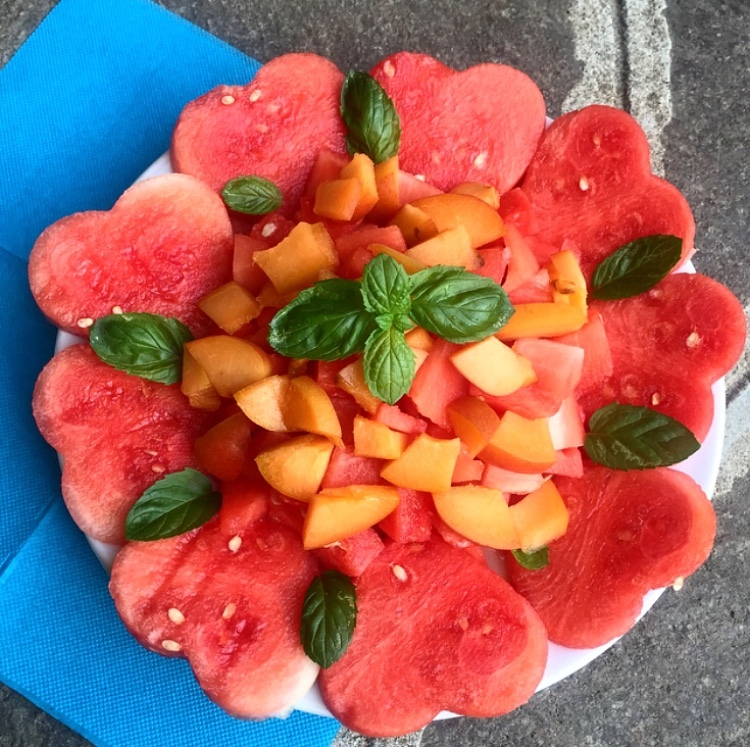 today I am sharing with you one of my favorite ways to serve water melon to my guests! And guess what? 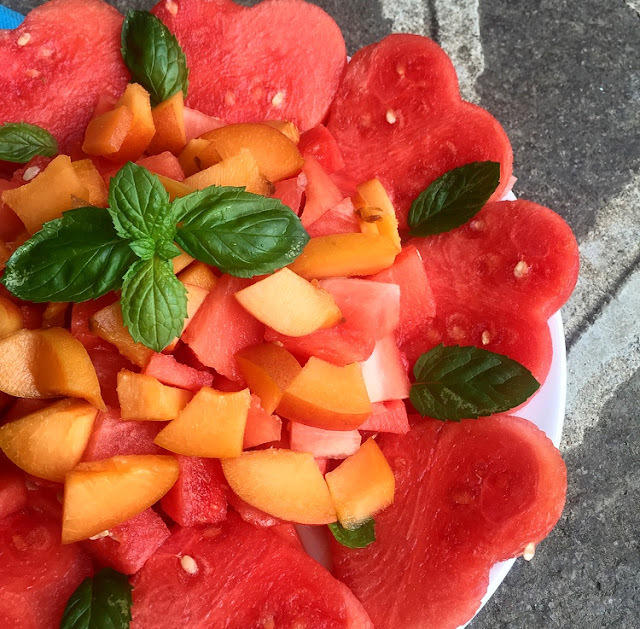 this fruit salad recipe is also filled with nutrients which will help you get the best tan of your life!!!! Oggi vi propongo uno dei miei modi preferiti di servire l'anguria! E indovinate un po': questa macedonia è anche ricchissima di principi attivi che vi aiuteranno ad ottenere la migliore abbronzatura della vostra vita!! Decorate con foglie di basilica e menta e servite. This post is not sponsored. All suggestions on products and ideas are mine. All pictures have been taken by me. Please link back to this blog if you want to use the content of this post, or tag and credit @cyclistblondie for Instagram sharing. I am Benny, an Italian girl, fitness and healthy living passionate, shoes maniac, travel addict and a life enthusiast. 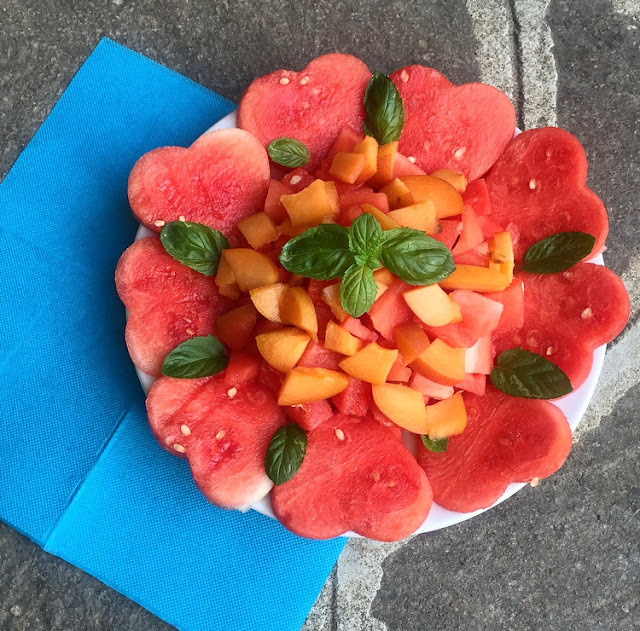 This blog is a preview of my daily life, where you will find a little bit of everything that I love!Follow my daily Instagram posts @cyclistblondie !